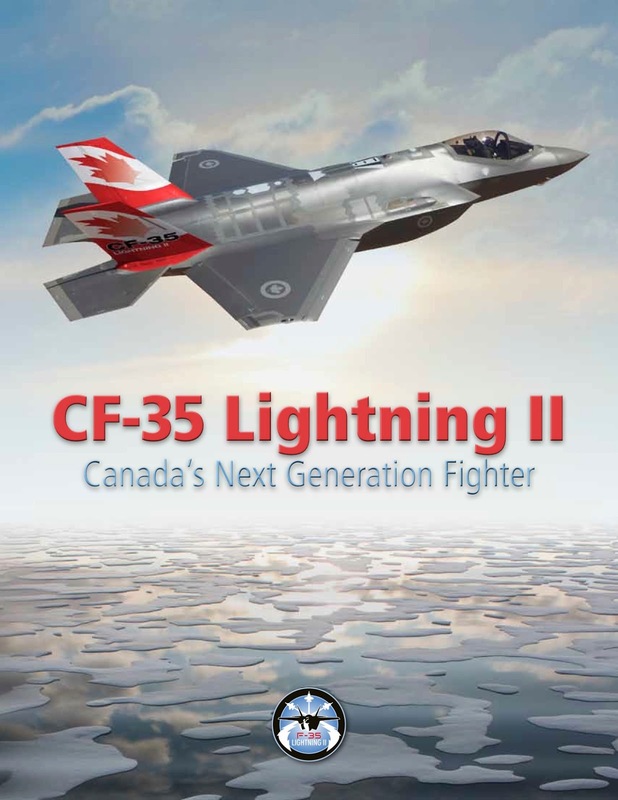 The Canadian F-35 controversy never seems to stop. Amidst concerns about the JSF's price, availability, performance, and suitability for Canada; Lockheed Martin has giving its F-35 Lightning II an extra "push" by marketing the F-35's advanced features, stealth, and potential job creation for Canadians. Recently, Lockheed Martin has become a little more aggressive with its push, stating that Canada could lose out in approximately $10.5 billion worth of related contracts. Given the estimated $9 billion procurement cost fixed to the CF-18 replacement, this certainly does appear to be "losing out" on a lucrative deal. Looking closer, this is appears to be more fear-mongering than anything else. Everybody gets a piece of the pie... But are the pieces the same size? But Canada has a pretty competitive aerospace industry, so it should still do well with a level playing field... Right? Despite NOT being part of the initial partnership involved with funding early development of the JSF, both Japan and Israel have recieved lucrative industrial participation deals. Japan has been awarded work on some electrical systems, as well as final assembly. Meanwhile, Israel will be building wings for the F-35. This will pump about $2.5 billion into the Israeli aerospace industry. It should be noted that Israel became a "Security Cooperative Participant" (SCP) in 2003 by investing almost $20 million. Not a bad return on that investment. To put this in perspective, Canada has now invested over $332 million in return for $488 million worth of work so far. That's a 147% return on investment so far... Not too bad... Right? Considering the planned $8.9 billion initial procurement cost, the contracts secured so far only add up to 5%. When you start considering the lifetime costs of the F-35 for Canada (which could range anywhere from $48 billion to $71 billion), that half-billion dollars worth of F-35 work doesn't amount to much more than the proverbial drop in a bucket. But what about the potential $10.5 billion worth of work that Lockheed Martin is touting? That $10.5 billion is for potential contract work. This is for work that Canadian firms will have to bid for and win on a competitive basis. It was one of the founding principles of the JSF program that all sub-contract work be farmed out as such in order to help keep costs down. In theory, this was to help guard against the usual pork-barrel politics involved in military procurement, where the work is spread around to insure political support from as many people as possible. 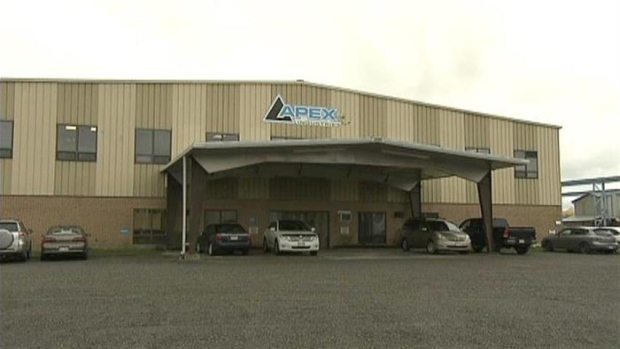 Apex Industries of New Brunswick. Where some of that F-35 money goes. Interestingly, New Brunswick based Apex Industries has recently been touted for landing work on the F-35. Sounds great. But back in May, Apex acquired $2.25 million worth of provincial and federal funding, likely helping it secure the F-35 deal. That's right, in order for Canada to get work on the F-35, it needs to pay up front merely for the privilege of bidding on contract work. Then, in order to win those contracts, the Canadian government needs to provide financial assistance to companies hoping to win these bids. Still, the potential of seeing an $11 billion return on an initial $8.9 investment to keep our country safe still might seem acceptable. Especially if it helps keep Canada's aerospace industry alive. The trouble is, however, is that for the most part, Canada's aerospace firms aren't really doing much more than "making widgets". The most demanding (and lucrative) part of the process, research and development, is being handled by Lockheed Martin and other giants. But what about the other aircraft manufacturers now being considered? Both Eurofighter and Saab have offered to set up final assembly lines in Canada. Dassault has made a similar deal with India, and likely would with Canada as well. This not only has economic value of creating jobs and manufacturing, but it adds strategic value as well. 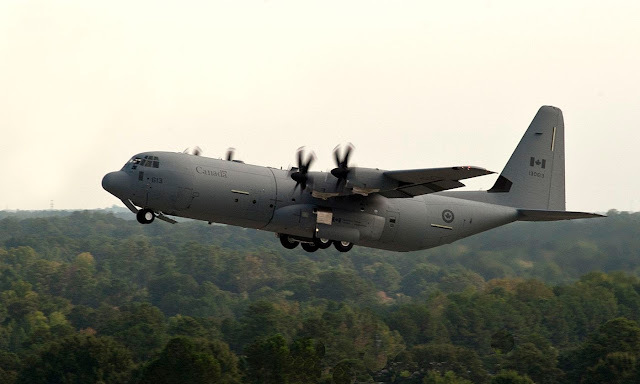 Canada's CC-130J. A guaranteed $2.3 billion return on a $1.7 investment. Traditionally, any military purchase requires the vendor to guarantee at least 100% worth of industrial offsets. Often, the value of the offsets exeeds that of the purchase cost. Such was the case with Canada's recent agreement to purchase 17 C-130J "Super Hercs". In that particular case, the $1.4 billion purchase price netted $2.3 billion (164%) worth of industrial offset deals. This wasn't done with the F-35, such was the nature of the JSF program, but any other manufacturer would likely be more than happy with guaranteeing at least a 100% industrial offset deal. Ironically, the Super Hercules deal was with Lockheed Martin, the same manufacturer responsible for the F-35 Lightning II. Is it worth giving up a potential $10.5 billion worth of JSF work? 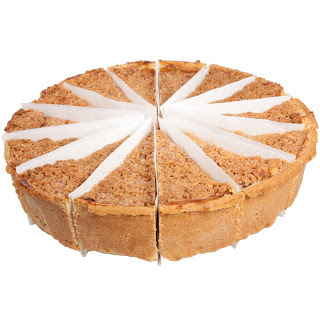 When that work requires Canadian vendors to fight tooth-and-nail against global competition, and requires further financial assistance along the way? Perhaps there's something to be said about a simple guaranteed offset deal.